It is easy to stick to the latest trend, to copy what your favorite celebrity is wearing or even what you saw your best friend wearing, but that is dull. It is arduous discovering your individuality within fashion. Celebrities make a run to the grocery store looking as if they stepped out of an editorial in VOGUE magazine, but they have professional stylists and endless funds at their disposal. I have come up with useful and practical tips to help the everyday girl discover her own personal style. 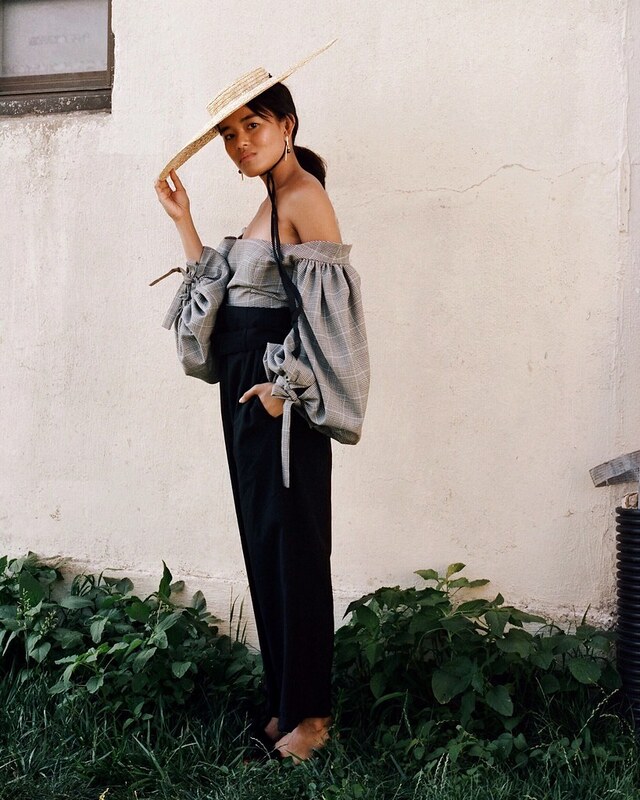 When we find ourselves in a fashion rut sometimes it is best to seek inspiration from outside sources, whether that be a fashionable friend, Pinterest, fashion blogs, or the latest runway couture. The mistake people make when seeking inspiration is going and looking for that exact same outfit, or the shirt they were wearing. That is fine in some cases, but we should really avoid trying to do that. I am going to tell you why it is important to avoid copying another’s style…This is all about finding your PERSONAL style, which infers have some sort of individuality. So a good way to go about seeking inspiration, is to seek outside sources to discover what styles intrigue you, and then go shopping based off those inspirations you saw. Add your own personality into the styles you were inspired by. There will always be naysayers, people who don’t particularly care for your sense of style, and that is okay. We all are unique individuals with different interests, styles and taste, and that is perfectly okay. So do not let someone’s opinion affect your confidence or prohibit you from exploring your style to the fullest extent. Don’t be scared to try something new, because you have a fear that someone may not like it, or have a rude opinion about what you chose to wear. Be authentically you and don’t apologize for it! Don’t get stuck wearing the same t-shirt in 10 different colors. Don’t just keep wearing the same style blouse, just different brands. Mix it up, branch out. If you find yourself buying the same type of clothing, reach for something that you might not normally wear and try it on. A great way to mix things up is with different fabrics. Different fabrics really make an outfit, they add a different dimension and texture to your ensemble. Experiment with wool, silk, lace, cotton, satin, cashmere, linen and the list goes on… Different fabrics add a different vibe to an outfit. Silk or satin may appear more luxurious, while lace may seem more romantic and feminine. Go outside your comfort zone and experiment. Our personal style is ever changing as we go through different phases in life and as we grow and mature. But one thing that will never go out of style is essential basics such as jeans, strappy heels, pumps, a white t-shirt etc. Once you have built the foundation of your closet (basic essentials), you can start to invest in either high-end designer items such as a Chanel bag, or Louis Vuitton shoes…or you can buy a cheap funky jacket or some vintage shoes. The possibilities are endless, but one thing you will always need are the basics, then you can start to buy the fun and funky clothes to add character to your outfits. This may not seem fashion related, but I promise you it is. A wise man once said, Dress how you want to be addressed. If you are looking to take your job to the next level professionally, then you may not want to show up to work in a rainbow shirt. Who knows maybe that works for your job, but that is not so in most cases. Or maybe you love to paint and you are hoping to be the next up and coming Picasso. So maybe you would want to start dressing more tumblr and artsy. Or maybe you goal is to just have a feminine look about you, you always like to wear frilly skirt and dresses. Well it won’t do you much good if you wear rocker band t-shirts every day because that is not the look you are going for. This is why it is important to asses your goals in life, and then see where your fashion falls into place. Awe thank you so much for your kind words! Thank you! I tried to include a variety of pictures to appease everyone’s different tastes.